I booked airport transfers with this company and they were really reliable and answered my e-mails immediately. It cost 40 euros each way. Dimitris was helpful and the car was very comfortable. I would highly recommend this company. Excellent service from the cruise ship and back. A much appreciated tour with a Greek breakfast, Ginger Beer and a visit to a former Olive Oil processing factory (now museum). The tour was covering the highlights of the area and sites suitable for camera shots around the island. The tour was very pleasant and timely. The views of the island, tours of the churches and visit to the museum were the highlights. It was educational and interesting. We found there was more to learn than expected. The views from the old Venetian harbor was unexpected but fascinating. Definitely a tour I would recommend to others. We booked a five hour tour of Corfu with Dimitris, which turned out to be a six hour tour. Dimitris is a great conversationalist and the time just flew by. We were shown many spectacular views, taken to a village cafe for lunch, dropped off for visits to a monastery and palace, and taken for a leisurely walk through a typical Corfu village. 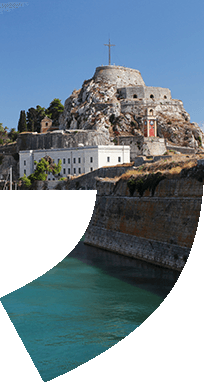 In short, a wonderful introduction to Corfu. Highly recommended. Costas picked us up at our port in Corfu. It was a truly fabulous four hour tour. He was professional and so lovely and went out of his way to show us his island. We were able to go into small villages that a bus could not negotiate and I highly recommend this company! 4 of us from USA. Dimitris picked us up in a really nice 4 door sedan and took us around Corfu like we were part of his family. He explained the history and culture of Corfu and Greece. Took us to real country side places where buses do not go. Best tour of our 10 day trip. Highly recommended could not have had a more polished/professional person.